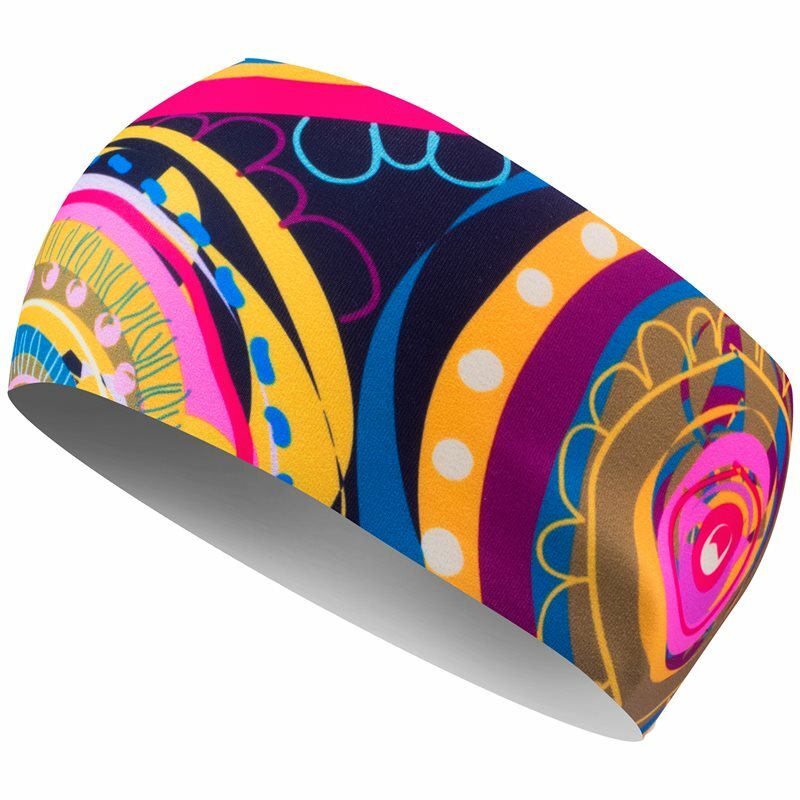 Colorful sports headband in retro design, made to be a functional accessory both indoors and outdoors. Headband for running, skiing, hiking, floorball and other activities. Repels moisture and prevents sweat from dripping into the eyes during intense activities, while it also protects ears from cold during colder days.